Jollibee and McDonald’s are the popular venues for children’s birthday parties in Manila; at least that was how it was when I still lived there. Sometimes parties would be celebrated at home, if the hosts don’t mind dealing with the mess. Birthday food would vary depending on the budget, but there would always be some sort of noodle dish. Filipinos believe that noodles represent long life. So to wish the celebrant this good fortune, a noodle dish is consumed on the special day. It can be pancit (chow mien) or spaghetti (long pasta), or both. 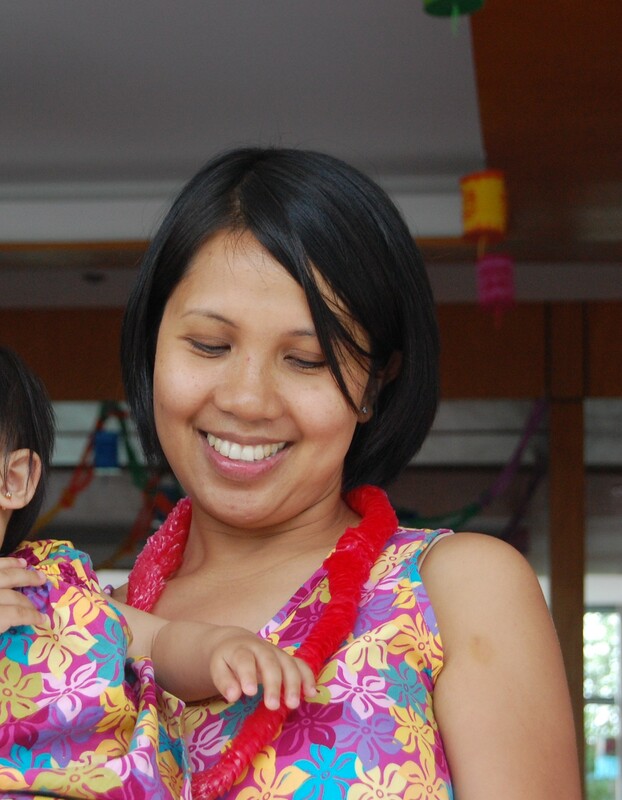 I remember that birthday party as being tiring, but fun. I don’t know what possessed me, but we had the party from 2pm until 10 pm. 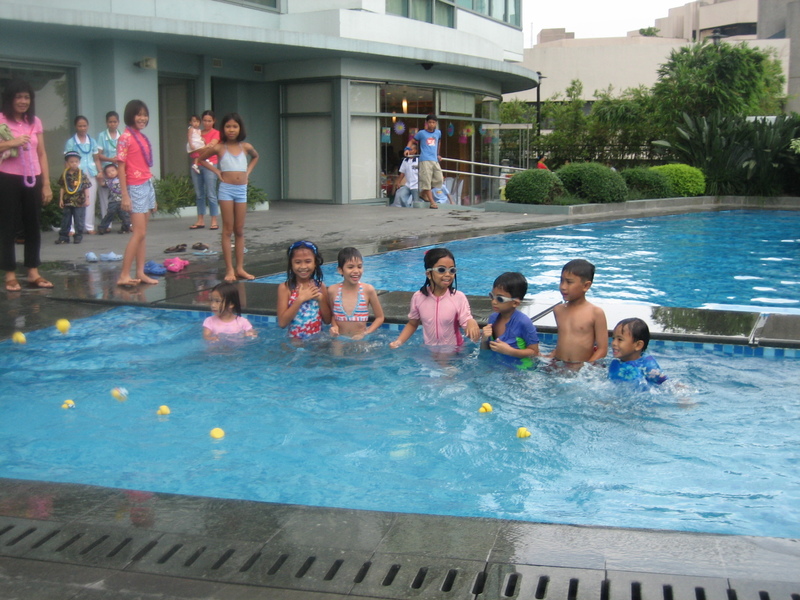 The kids had their swimming party from 2-5 pm, and adults stayed on to party until 10. Between family and friends, we had around 100 guests. We had spaghetti, tacos (from Pancake House, yum! ), cotton candy, taho (sweet tofu), “dirty” ice cream, pritson (roasted pig with sweet dough bun), and much more. That party was a huge production. We even had matching luau outfits for all of us. 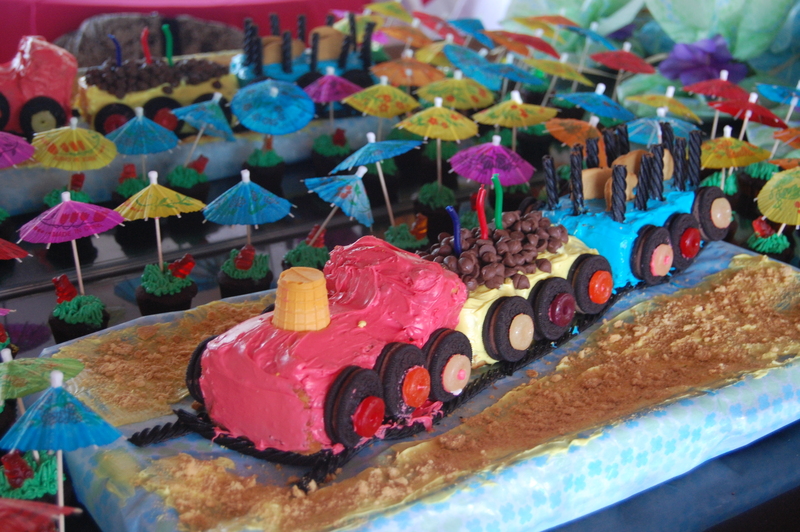 The train cake I made. 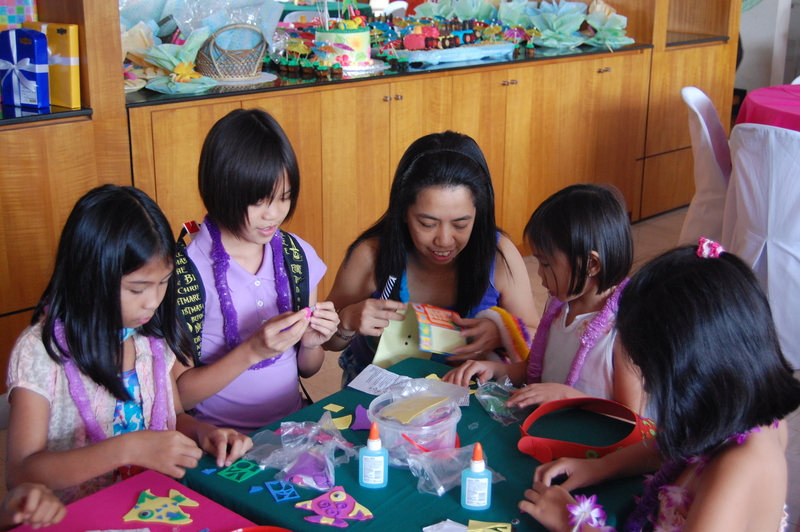 Party stress aside, I enjoyed it and would love to do it again…on a much smaller scale. Thank you to my siblings, nieces, friends, and in-laws for helping out! Nothing compares to celebrating birthdays with family and friends. Planning a children’s party here in the U.S. is much easier, I think. No one expects four different main courses, unless a lot of Filipinos are invited. The secret to a successful children’s party: keep the children busy. We were invited to a morning birthday party in a park once, and we were served bagels, watermelon, and cupcake. The kids went home with little loot bags of bubbles and couldn’t be happier! The party was over in an hour and a half. So, the plan for this year’s birthday? Guest list is 20 kids max. No catering necessary, but I have to order pizza and pancit in keeping with the Filipino custom. My children and I will make jello with gummy fish (swimming theme again), and vanilla cupcakes. We’ll have frozen yogurt and fresh fruits. The party is from 12-2. I think I am evolving! Posted in Filipino Custom and tagged birthday noodles, children's birthday party, family, Filipino, food, keeping culture, pancit. Bookmark the permalink.